The Companion Coffeehouse is an expansion of a family run bakery downtown called Bad Wolf Bakery & Bistro. In case you’re wondering, yes, these are references to one of the best shows out there, Dr. Who. These shops offer subtle tips of the fez, if you will, as an homage. Companion Coffeehouse is bright, happy coffee shop serving up locally roasted beans from Megaphone Coffee Roasters of Bend. On the way to Mt. Bachelor, stop in for small bites like bagels or something sweet from the bakery case. 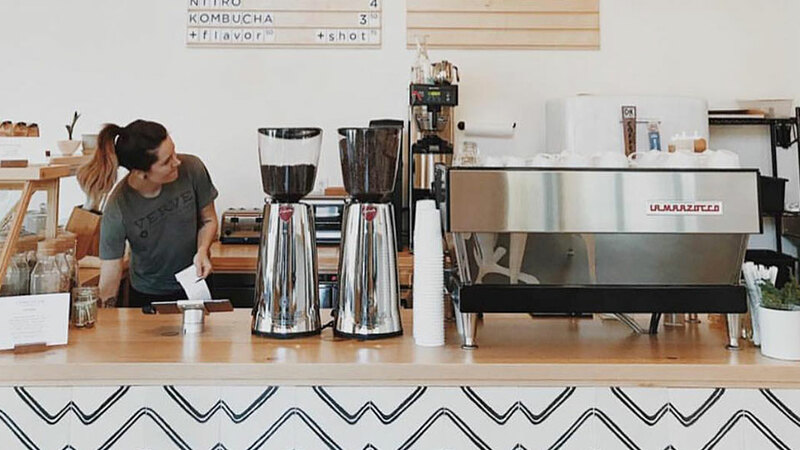 You’ll likely want to chill and stay awhile at this airy modern spot where you can sip your cold brew while checking email or shop for some cool stuff like a Mason Jar Coffee Maker, Mexican blankets and tees. If you’re looking for breakfast or lunch, seek out the Bad Wolf Bistro in downtown Bend with a cocktail bar and local beers on tap.